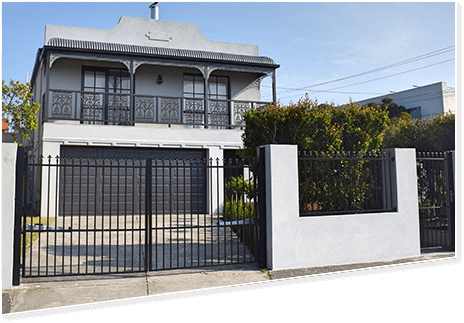 WHETHER YOU WANT TO LET YOUR CHILDREN PLAY FREELY INSIDE THE FRONT YARD, OR YOU WANT MORE PRIVACY AND SECURITY AROUND YOUR HOME OR SIMPLY WANT TO HAVE THE BEST-LOOKING FENCE IN YOUR STREET, CUSTOM BUILT FENCES IN MELBOURNE WILL PROVIDE YOU THE EXACT SOLUTION THAT MEETS ALL YOUR FENCING NEEDS. As a family-owned and operated company, Custom Brick Fences is committed to being a one-stop fencing shop for our valued customers. Our team combines expert knowledge and years of experience to ensure you receive a high-quality and well-designed fence that will add value to your home and provide security and privacy for decades to come. We have a friendly and professional in-house team, including our Managing Director, Sales Manager and Civil Engineer, Darko, our Customer Relations Manager, Jordan, Finance and Accounts Manager, Eleni. Our team also includes; Project and Human Resources Manager, Anthea, Administration Coordinator, Mel, our Sales Consultant and Landscaping Specialist, Andrew, our Steel Fabricator, Andre, our Manufacturing Coordinator, Dennis and our Bricklayer and Landscaper, Vic. Every person on our team is trained in making sure that the process is as stress-free and timely as possible, keeping you informed along the entire process. At Custom Brick Fences, we focus on understanding the needs of our clients. We are with you the whole way, coordinating everything, from the removal of the old fence to the brick construction, the steel fabrication and installation, as well as the electrical work needed for your automatic gates, lights and intercom system. All components of your fence and gates can be done by our in-house team to save you time and headaches dealing with multiple contractors for every single component. Some examples of our completed projects can be viewed in the gallery for you to see our workmanship and get some inspiration and ideas for your own project!